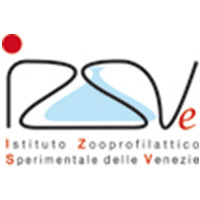 IZSVe is a governmental organization part of the network of Istituti Zooprofilattici Sperimentali in Italy. Within the framework of its national and international engagements, IZSVe is frontline involved in the surveillance and characterization of viral agents with animal and public health impacts. The Department of Comparative Biomedical Sciences of IZSVe hosts several national and international (FAO/OIE) reference laboratories/centres for animal viral diseases with zoonotic potential and the OIE Collaborating Centre for diseases at the animal-human interface. The group is an international reference for research on viral zoonoses through studying the pathogenesis, transmission patterns and the virological factors driving the host-species jump of influenza A viruses, as well as developing novel vaccines and immune-therapies for the prevention and treatment of major viral zoonoses both in the animal reservoirs and human beings. Within this framework, several animal models have been validated and are available at IZSVe. The implementation of the 3Rs policy in animal research has led to developing ex vivo models as a valid alternative to the in vivo ones.